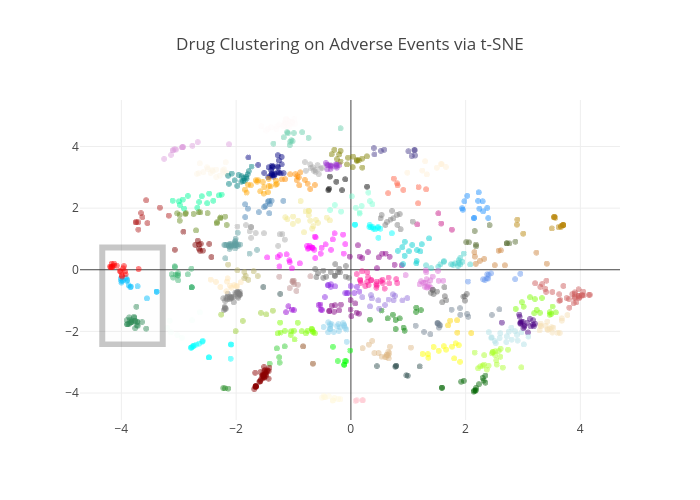 Pdanese's interactive graph and data of "Drug Clustering on Adverse Events via t-SNE" is a scatter chart. The x-axis shows values from -4.694999408234023 to 4.663529587317948. The y-axis shows values from -4.842958538569995 to 5.4750400101110035.